Apple has long maintained that its data center in Oregon will be 100 percent powered by clean energy, following in the footsteps of its ground-breaking data center in Maiden, North Carolina. And now there’s some news about how Apple it will do it: according to Oregon Public Broadcasting, Apple is buying up additional land to build a solar farm near the data center in Prineville, Oregon and could sell the power from the solar project back to the local utility. 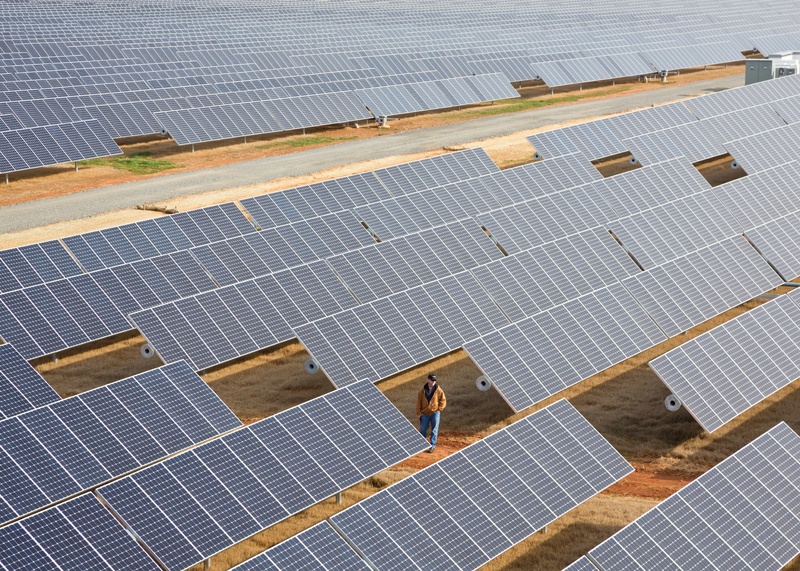 Apple used this method for its two 20 MW solar farms in North Carolina, and will also likely do this for its 137-acre solar farm in Reno, Nevada. The strategy to directly work with solar panel provider and project developer SunPower to build a solar system that is owned by Apple is unusual in the Internet industry, particularly at the scale that Apple is doing it. In contrast companies like Google and Facebook are building data centers in regions where power companies are building clean power, and then agreeing to buy the power from those facilities. They aren’t commonly directly owning the solar or energy farm, just buying the power from it. For example, Facebook is building a data center in Iowa to have its data center powered entirely by wind. Like what happened in North Carolina, the area around Prineville in Oregon is turning into a data center hub for some of the large Internet players like Facebook and Apple. Many of the Internet companies are looking for the same features in a data center location: low cost and reliable power, low cost land, water resources nearby, and more recently some available clean power. Oregon Public Broadcasting quotes the Mayor of Prineville, Betty Roppe, as the source that says Apple is planning to build a solar farm near its data center in Oregon. Apple’s move into owning solar power plants in Oregon is the wave of the future, to meet climate goals, diversify investments, and reduce total factor energy costs. It is very good business. Oregon is a large state with a variety of climates. Prineville is located on the leeward side of the Cascade Range, and thus is sunny more often than not. It is also located in the cool High Desert, where the average minimum temperature in the hottest month of July is a cool 43.6 degrees F (data from 1897 – 2013). Abundant sunshine and year-round natural cooling equals a smart location. Apple should not be installing a solar farm in Oregon. They should already know why. A Solar Transfer would be a better way to go green. Is it pitch black in Oregon? Is every light source electric? If not there is sunlight. It might be less than from a cloud free sky, but there sure is sunshine.